Stand Out In The Crowd & Beat Out The Competition. 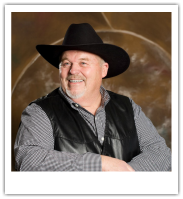 Are you affiliated with a singing competition? Do you work with actors (of any age)? Do you run a recording studio? Are you involved in the pageant circuit? Do you head a music ministry? Do you direct the plays at a school or local theater? If you answered "yes" to of these questions, fill out our workshop host form to the right to get more information. 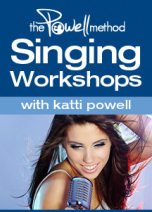 Get your singers ready to experience life-changing singing with these stellar workshops led by Founder, Katti Powell. All this can come just from a weekend of Powell Method Workshops. And you will see the changes immediately! Singing doesn't HAVE TO be hard, but many instructors make it way more of a mystery than is necessary. Help lift the fog for your singers by bringing in an expert to maximize their strengths in easy-to-swallow, bite-sized pieces. Check out some of the success stories that have come out of studying with Founder, Katti Powell through workshops & private studies. Want To Host A Powell Method Workshop Series In Your Town? Fill out the form below, and you will be redirected to our calendar where you can schedule a time to chat with Founder, Katti Powell about hosting a Powell Method Workshop Series in your town. I would highly recommend The Powell Method Workshop Series to anyone who loves to sing and wants to become better at it! I feel like I just received a year of college singing instruction in the span of one weekend of workshops and learned more in the workshops. Katti is an excellent teacher and newfound friend. Thank you, Katti!